I am transplant to Los Angeles from Vancouver. This is why the photography exhibition Transplants, from 10 non-indigenous Angelenos at THIS Los Angeles gallery caught my attention. The photographers exhibited in Transplants are all young, award-winning artists with varying degrees of technical ability. And, I imagine that the exhibition is a very important step forward in their artistic career. 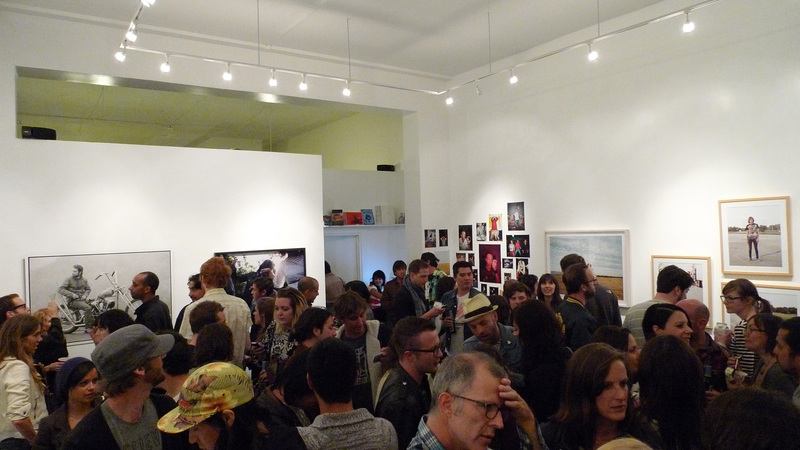 Especially since, the exhibition is co-presented with MOPLA (Month of Photography Los Angeles), April 1st – 30th 2010. I learnt about MOPLA 30 days too late, from the look of their programming I missed some great photography. A few photographers stood out from the rest: Amanda Friedman, Ryan Schude and Emily Shur. What a gorgeous nightscape by Amanda Friedman. 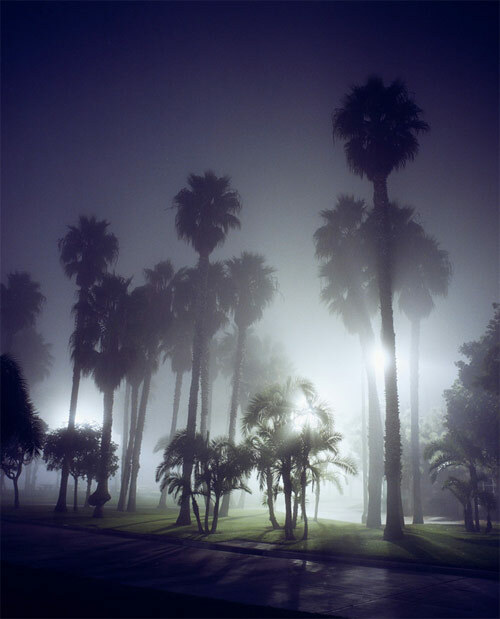 The long exposure used to capture this moment impregnates it with a sense of stillness and quietude as the evening fog starts to immerse the palm trees. Emily Shur’s (Houston Texas) Big Baby Avondale, Arizona is cheeky. 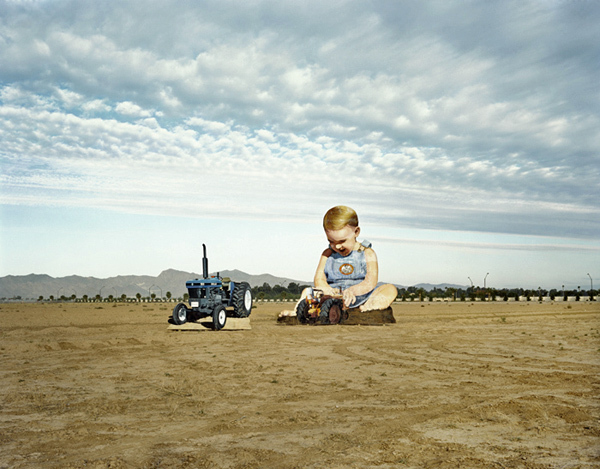 Ms. Shur’s photo montage collages a big silly baby playing with toy tractors with a combined back drop of Arizona and California. Ryan Schude’s (Chicago) The Saturn is a complex staged photograph akin to the arrested drama of tableaux vivants. Staged photographs, such as, The Saturn, dramatize an apparently ordinary scene and social encounter, thus, problematizing the relationship between photography and documentary. Some of my favorite photographers create staged photographs are Micheal Snow, Anni Lebowitz, Jeff Wall and Gregory Crewdson. The show is a bit of a smorgasbord of styles, genres and quality, but if you are in Los Angeles, check it out.